Q : What is your philosophy of sample set producing ? There are many approaches to recording pipe organ sample sets. Here is my philosophy of organ recording. My aim is NOT to create a virtual “perfect” organ, because that does not exist anywhere! I know that some sample set producers’ goal is to have the largest organ, with the more stops, and to provide many temperament tunings of the organ, etc. This is done even to the extent of modifying much samples and adding features that do not exist on the real organ! The purpose here is, at the contrary, to provide samples that are as close as possible to the real sound of the pipe organ that has been recorded. I think that the less you modify the sound, the more you respect the authenticity of a real historical organ that was built by a famous organ builder. Q: Which recording gear has been used ? The sampling of Jeuxdorgues3 has been done with Rode NT5 condenser mics, an external soundcard, and a computer. About Jeuxdorgues1 & 2, the soundbanks have been made, with the help of Philippe Ozanne, with a Teac DAT recorder and a condenser microphone. Q: Can the sample-set Jeux d’orgues 3 – Silbermann be loaded in Hauptwerk Free Edition? 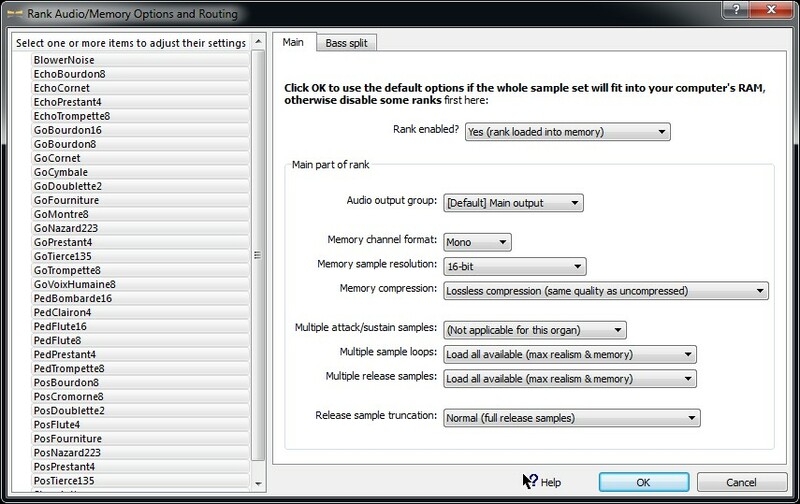 Even if a full version of Hauptwerk is necessary to load the sample-set in 24 bit, it is totally possible to use Jeux d’orgues 3 – Silbermann with Hauptwerk Free Edition, by loading it in 16 bit / mono (see more details here). Even when loaded in mono, Hauptwerk will recreate a stereo field, and the result will be played in 16 bit stereo (i.e. CD quality). As a conclusion, Jeux d’orgues 3 – Silbermann is available with Hauptwerk Free Edition.